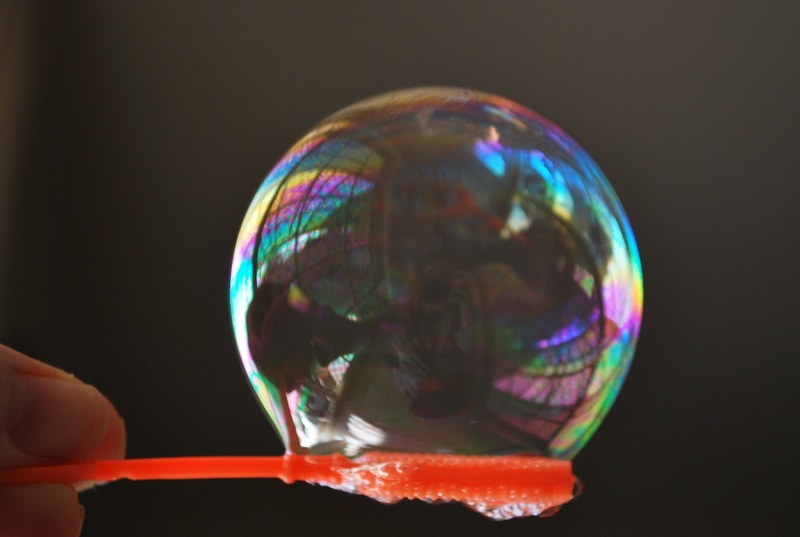 This entry was posted in handmade, Uncategorized and tagged activity, baby, bubbles, craft, detergent, easy, fun, handmade, kids, mix, play, simple, toddler on May 20, 2012 by Rebecca McQueen. This entry was posted in backyard, boring, friendly, garden, grow, idea, interesting, mobile, nature, toddler, yard and tagged area, fabric, ideas, interesting, mobile, outdoor, plants, simple, toddler on February 27, 2012 by Rebecca McQueen. This is (hopefully) an easy to follow tutorial on how to make a simple baby bib, a project suitable for a beginner. 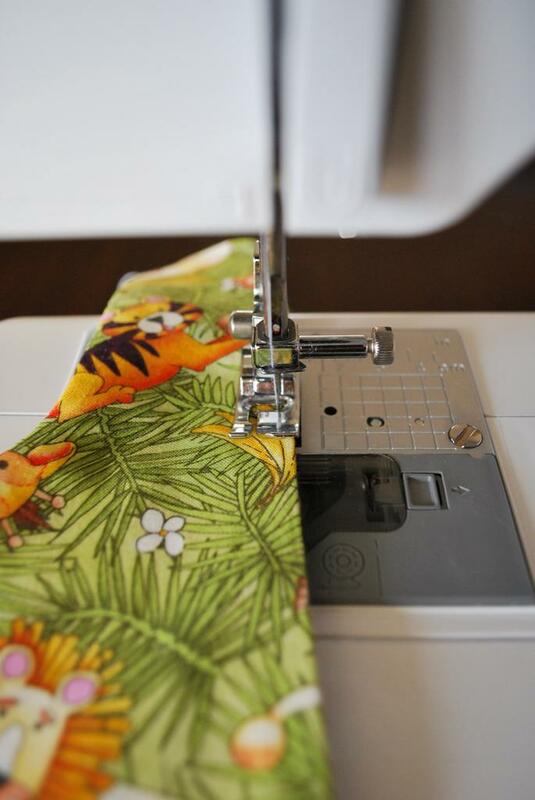 I’d love to hear if you try one out, they are fun and easy to make and so very useful. I decided to use a bib as my first tutorial post to coincide with a bib giveaway I am holding on my facebook page, which will be drawn on Tuesday 3rd May. Here is the link, good luck! Otherwise, have fun making one if you give it a go, and don’t forget to let me know! two pieces of coordinating fabric a bit larger than your bib. I have used a printed cotton for the front and white flanelette for the back. 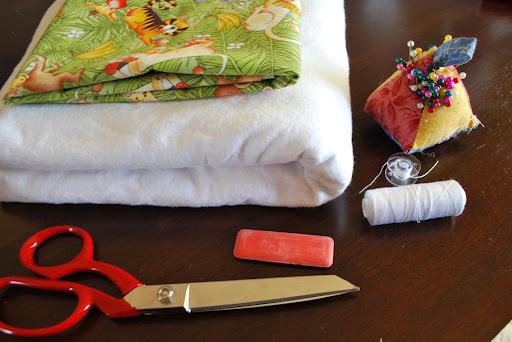 Step 1 – After ironing your fabric, place your bib on top of one of your fabric pieces. 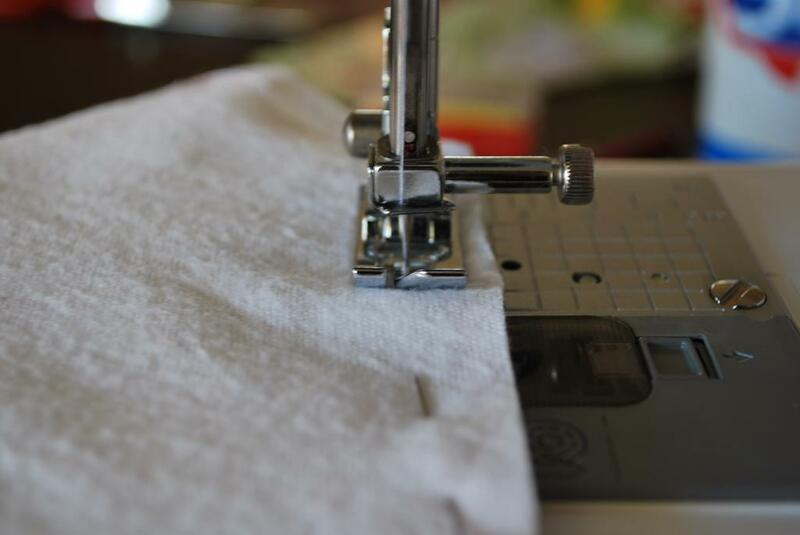 To make sure your bib will be symmetrical it is a good idea to fold your fabric in half first, also fold the bib in half and line up the bib fold with the fabric fold. Draw around the outline of the bib with tailors chalk or a pencil, leaving a 1cm gap all the way around for the seam allowance. Step 2 – cut out along the line you have just drawn. 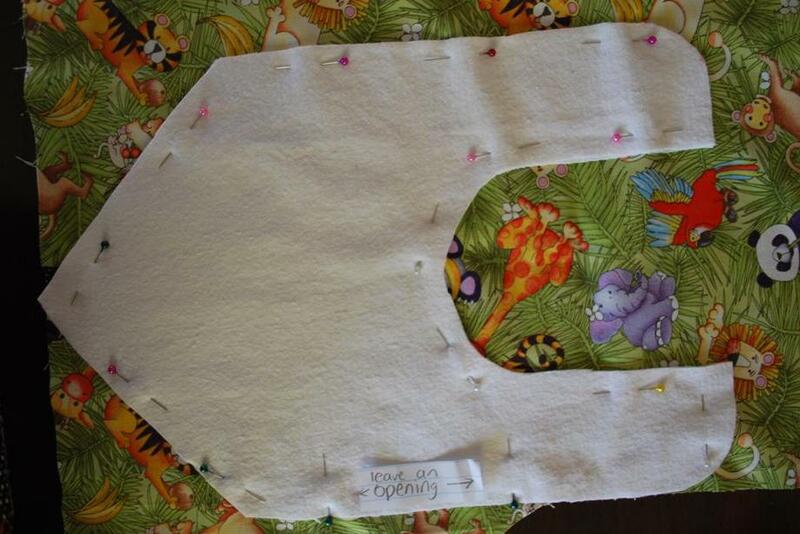 Step 3 – Unfold your bib shaped peice and pin face down to the ‘right side’ of your top fabric. Right sides will be together. 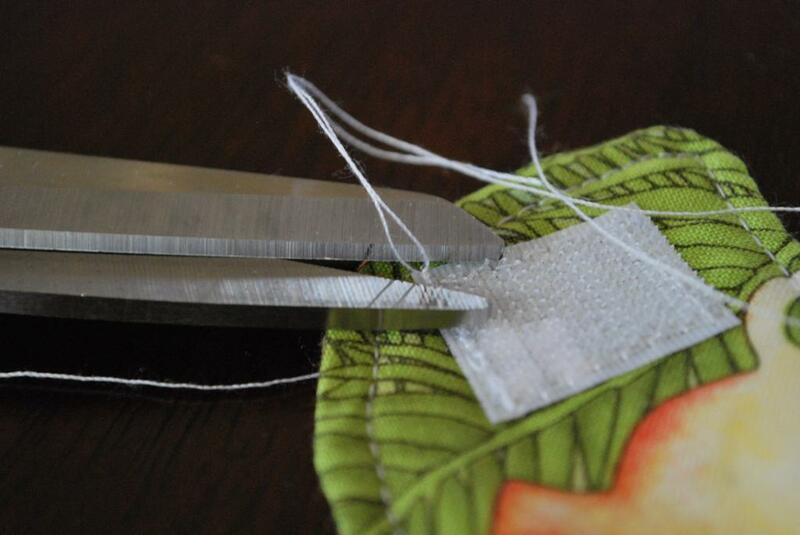 Step 4 – Sew straight stitch almost all the way around, leaving an opening about 10 cm long on the side, as shown in the image above. 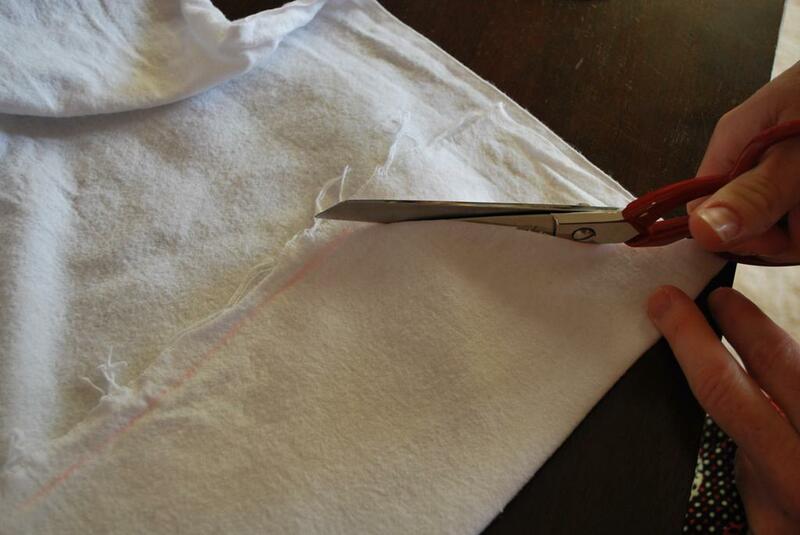 Step 5 – Turn inside out through the section you have left open on the side. 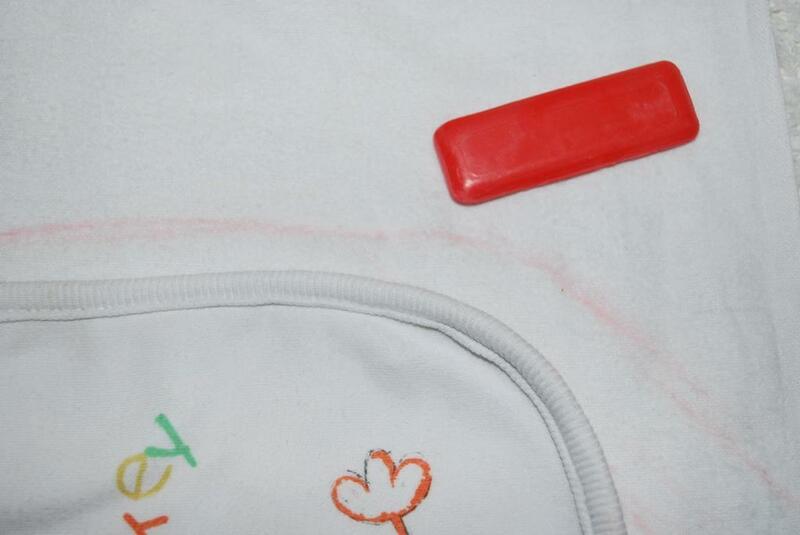 Step 6 – Iron the bib flat, making sure that the edges are turned in and even where you have left a gap. 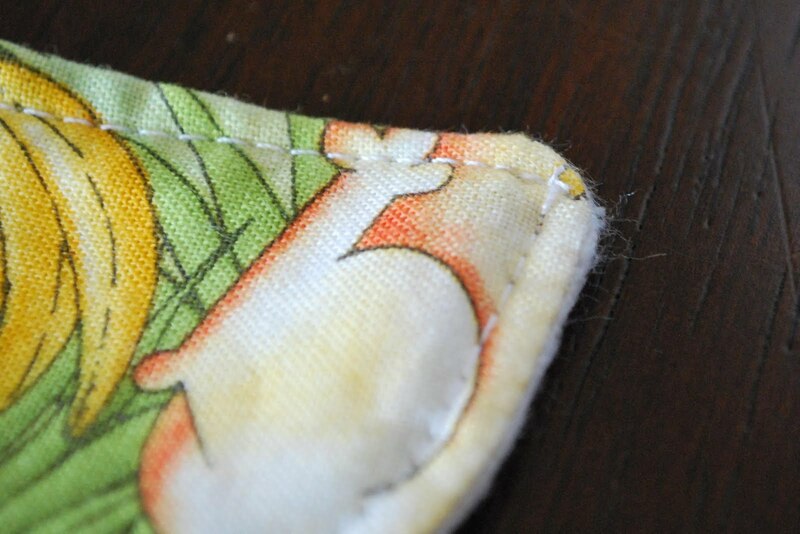 Step 7 – Topstitch – Stitch all the way around the outside very close to the edge. 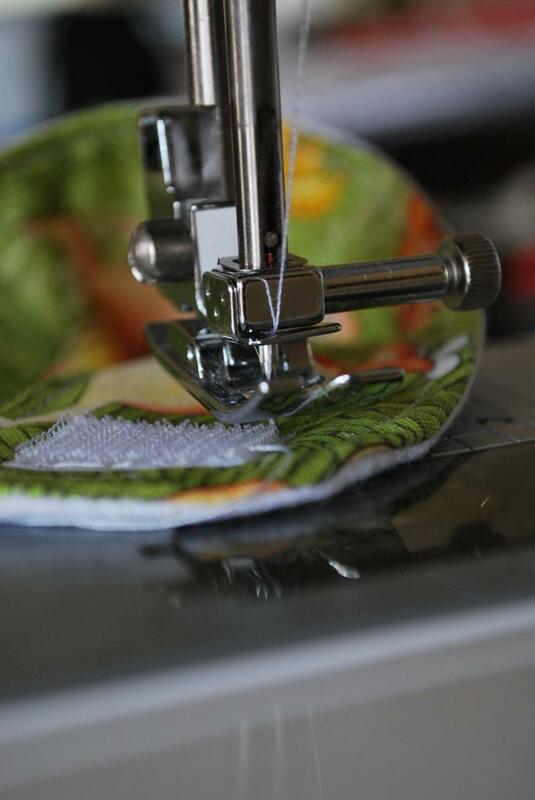 I use the edge of the foot as a guide, and set the needle to the right hand side using the dial at the top of my machine to make sure it is even. 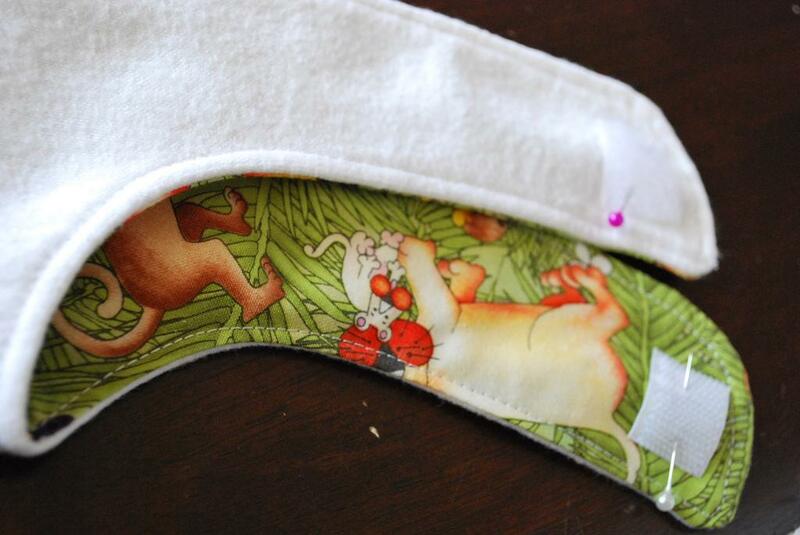 Step 9 – Pin the velcro tabs – one on the front, the other on the back. 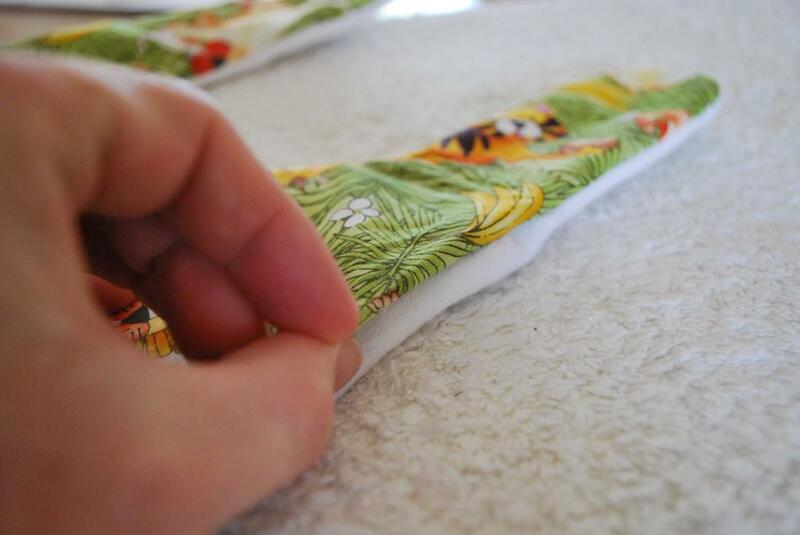 Step 10 – Sew the velcro tabs on very close to the edges, then neaten as you just did with the topstitching. 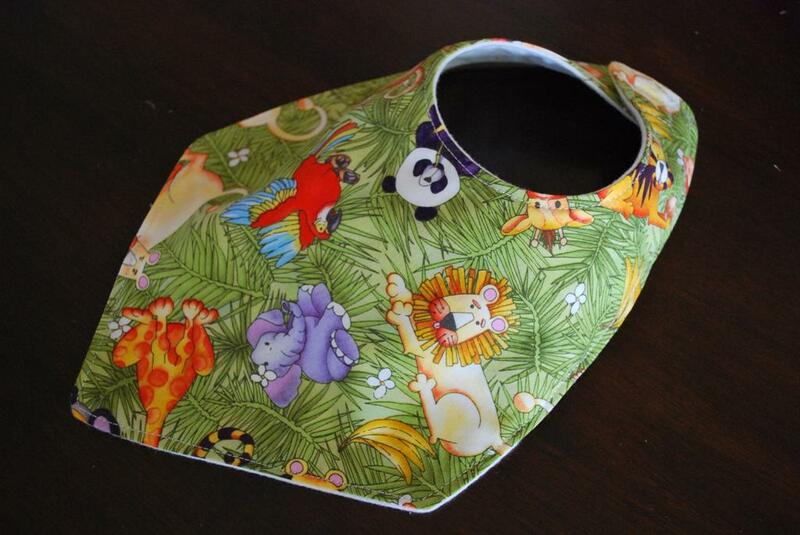 Step 11 – There is no step 11, you have finished, and now have a very cute new bib! 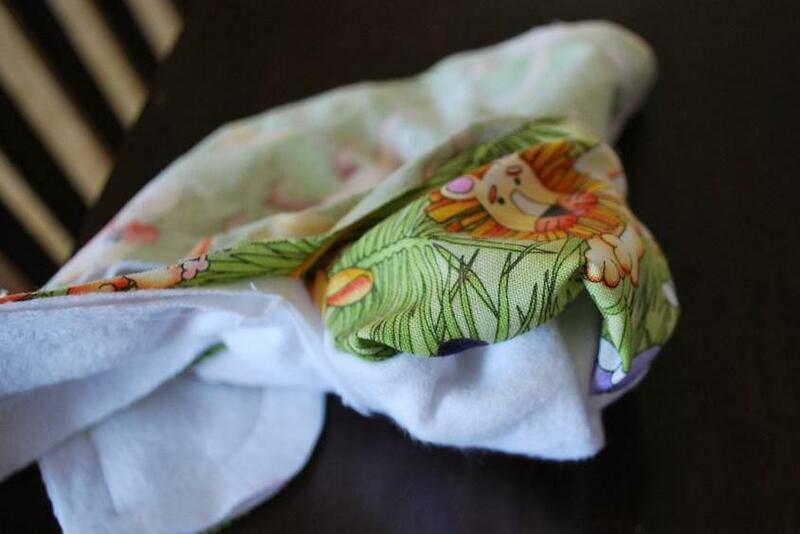 This entry was posted in Uncategorized and tagged baby, bib, handmade, sewing, simple, tutorial on April 30, 2011 by Rebecca McQueen.